Arizona. In the fall, winter & spring, the sun will be directly hitting the window. will be about 85-90 degrees. between any pieces of glass. Otherwise, the heat set adhesive doesn’t reactivate until it reaches 160dF. It should be fine. adhering to all the surface. Hope you enjoy the pictures; the design came from a few pictures and my brain! To answer the question in the comments below and to clarify (ha!) 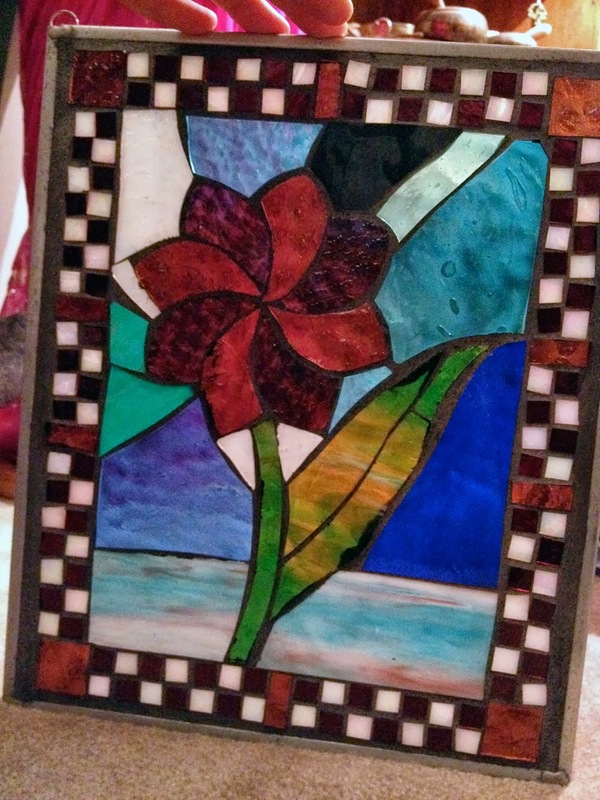 the point of transparency, I’ve included some pictures of my own project that I threw together in 3 hours + plus grouting. Backlit from the front. 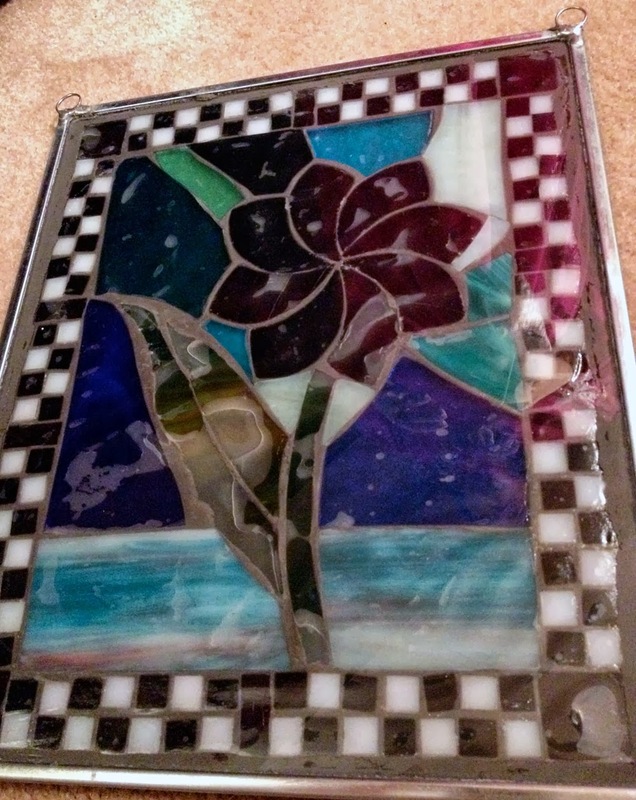 Carrie’s project with Q-Stik and scrap stained glass. 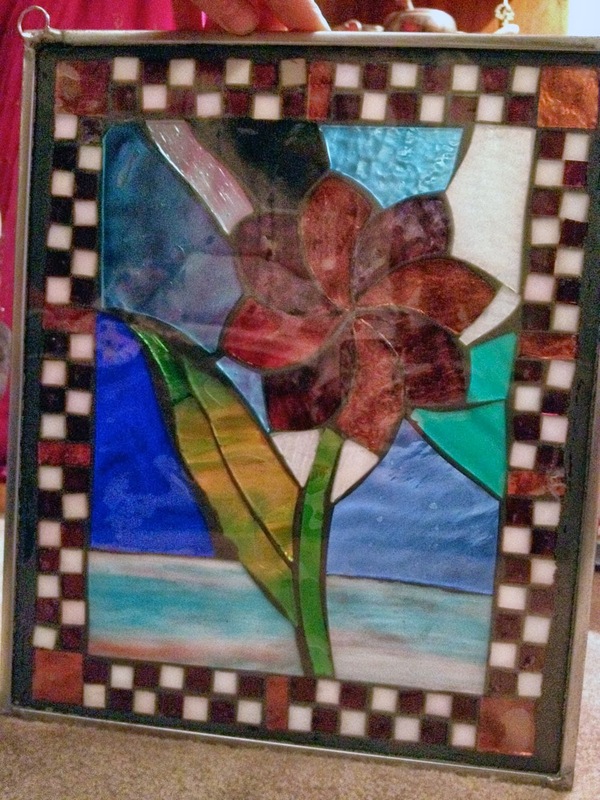 Here is the window I threw together in one evening (minus grouting). I used glass strictly from the scrap bin in the studio, so I’ve got a wide variety of glasses to look through. 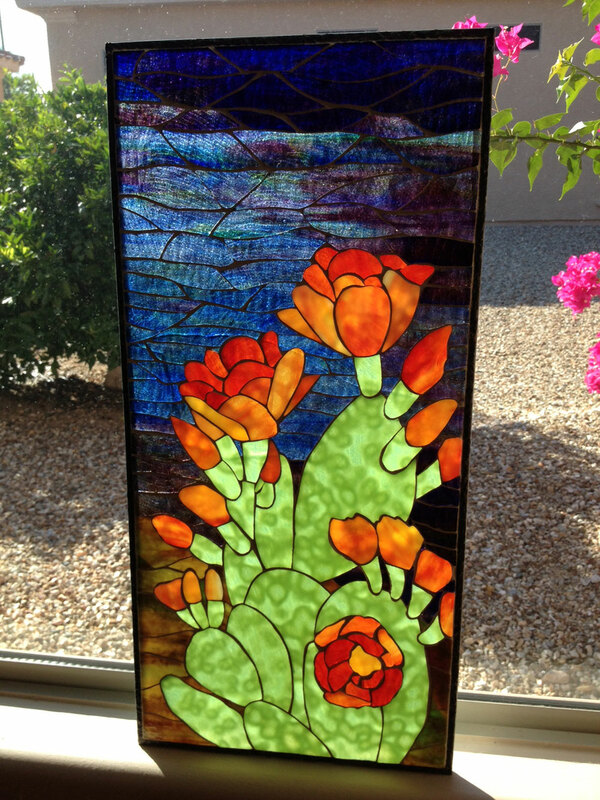 Backlit and looking at the back of the panel. 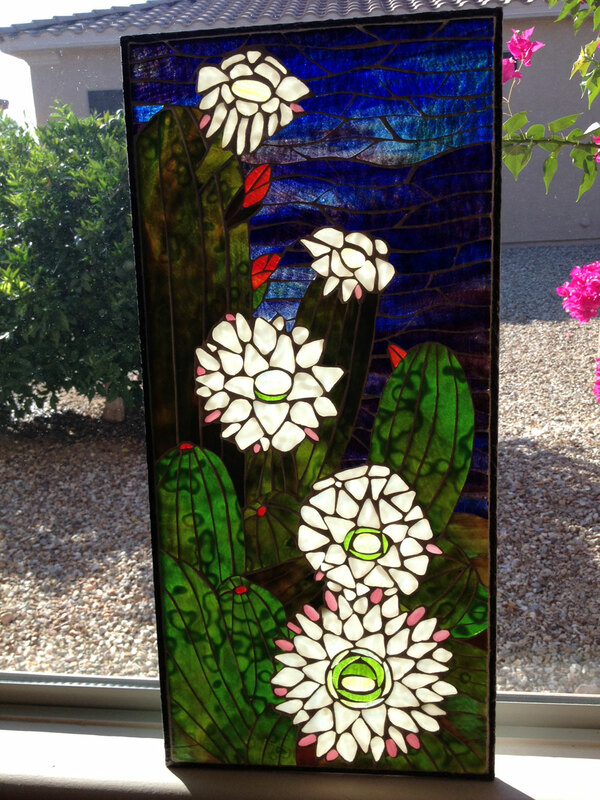 When the panel is lit from behind, the No Days Q-Stik doesn’t really hinder the appearance of the mosaic window. if you’re looking at the panel from the back, without back-lighting. However, if the window is not lit from behind, well…then, you can see all the areas where the glass is not attached to the adhesive (bubbles) and a bit of a haze from the pressure sensitive adhesive film. intentionally broke it so it would lay flat without getting grout underneath. The detail shot gives you a glimpse of my big problem area (from behind, so it’s never a problem if no one sees this side of the window) where the glass I used for the leaf curves away from the window and adhesive sheet. Hope this helps to clear up some of the questions. If not, let me know and I’ll try to help out further! Your windows are beautiful! I'm confused about the comment that the Q-stick is not transparent. Isn't it transparent once the backing is removed? What did you use to frame the windows?